Videocon V1450 is a stylishly designed dual sim phone that comes with multimedia features and applications. Read on for the latest reviews, features, specifications and the price in India for this mobile phone. 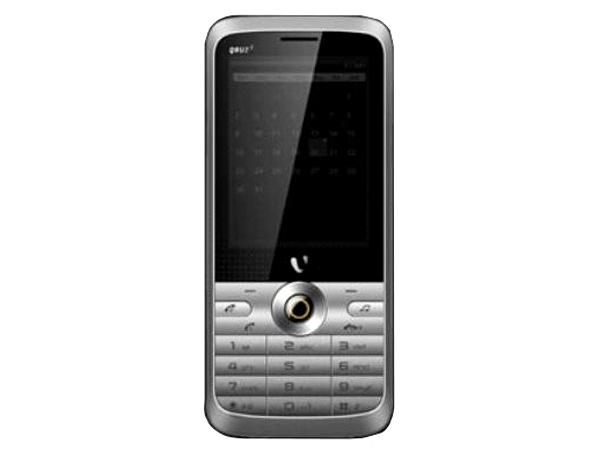 Videocon V1450 is a dual sim multimedia phone that comes in an elegant candy bar design with black metallic covering along with latest features and applications with user-friendly interface. It encompasses 6 cms (2.4� inch) High Resolution TFT Screen Display, Dual Sim-Dual Standby, VGA Camera with Video Recorder, up to 4GB Expandable Memory support, Embedded Games, MP3/ MP4 Player with Dedicated Music Keys, Wireless FM Radio, Mobile Tracker, Call/SMS Blacklist, Data Protection, LED Torch, Auto Call Recording, Answering Machine, GPRS, Bluetooth with A2DP support, and WAP Browser. The handset comes with long lasting LI-ion 1200mAh battery with implausible talk time up to 5 hours and standby time up to 10 days.